The economic and cultural crossroads of West Africa, Abidjan is the second-largest French speaking city in the world. As you sail along the Ebrie lagoon into port, you’ll be greeted by a cityscape of gleaming skyscrapers, but beyond the surface, local life pulses to a unique rhythm. The city is divided into ten districts, each with their own distinct feel and tropical soul, and all yours to discover Azamara Club Cruises® on voyages to West Africa. Start in the central district of Le Plateau. The beating heart and business hub of the city, it’s home to some striking examples of modern African architecture, like the towering La Pyramide, and iconic St. Paul Cathedral. The glamorous Cocody district is where you’ll find foreign embassies along wide boulevards, green garden squares, and palm-lined beaches. Treichville offers a totally authentic local experience. Visit the CAVA open-air market and wander through stalls as artisans make handcrafted jewelry, artwork, masks, and more. If you need to refuel, try a cassava curry or gblissi tebil (whole roasted plantain). After dark, this neighborhood is the epicenter for exciting nightlife, with bars, restaurants, and clubs playing local Coupé-Décalé dance music. Some say Abidjan is Africa’s version of New York. Others say Paris. 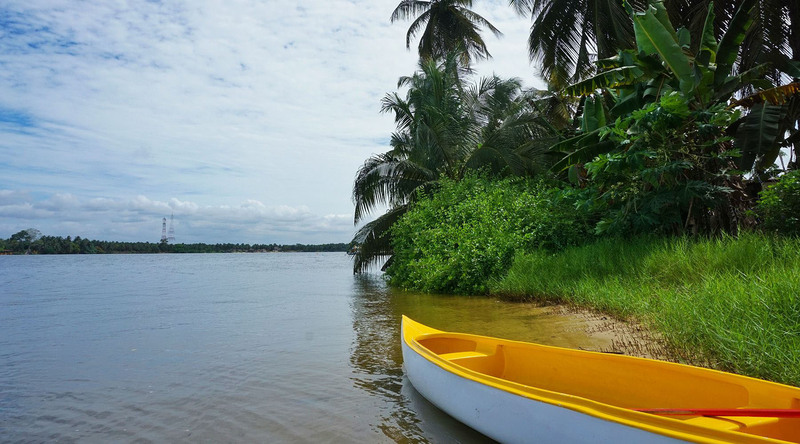 One thing is certain, it’s another example of the unrivalled destinations you’ll encounter on our West Africa cruises. Less than an hour east of the city, this former French colonial capital and UNESCO World Heritage Site features period architecture and beach that’s a favorite among locals. This narrow sand strip is bounded by the Ebrie Lagoon on one side and the Atlantic Ocean on the other. Spend a day in the sun and learn more about the various ethnic groups of the Ivory Coast at the National Costume Museum located in the former governor’s palace. Consecrated in 1980 by Pope John Paul II, Africa’s second-largest church can accommodate up to 5,000 worshippers. Even more impressive? The floor-to-ceiling stained glass windows depicting Ivorian culture and the life of St. Paul. Soak in the warm glow of these colorful installations, which providing a striking contrast to the church’s bold, modern exterior. Located on a hill in Le Plateau district, you’ll also be treated to sweeping views of the city. Stretching over 7,500 acres, this rainforest reserve is a breath of fresh air and a great place to beat the heat. Shady and secluded, beautiful walking paths are lined with all kinds of flora, including coffee and cocoa plants. Knowledgeable guides are happy to take you on a tour through a leafy arboretum and to a wonderful picnic area. At the edge of the park is an outdoor laundrette, where fanicos (laundrymen) beat clothes with rocks along the edge of a pond.